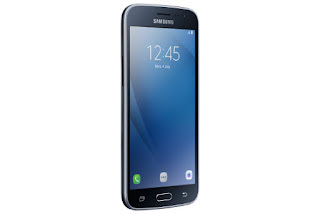 uth Korean tech major Samsung launched the budget phone Galaxy J2 Pro in India on Monday. The Galaxy J2 Pro is an upgraded variant of the recently launched Galaxy J2 2016 and will be available for buying exclusively from Snapdeal at Rs 9,890 starting from July 26. The Samsung Galaxy J2 Pro comes with 2 gigs of RAM and 16GB of internal memory. The Galaxy J2 2016 on the other hand came with 1.5GB of RAM and 8GB of memory. Rest of the specifications-set stays the same as before. The USP of the Galaxy J2 Pro - just like the Galaxy J2 2016 -- is said to be its next-generation LED notification system, the company calls Smart Glow. The feature can be used to colour-code any contact or application as well as phone alerts. Alerts can range from Priority (apps, contacts) to Usage (battery, data, or storage) to Selfie Assist. Selfie Assist will allow users to click framed selfies using the rear camera.